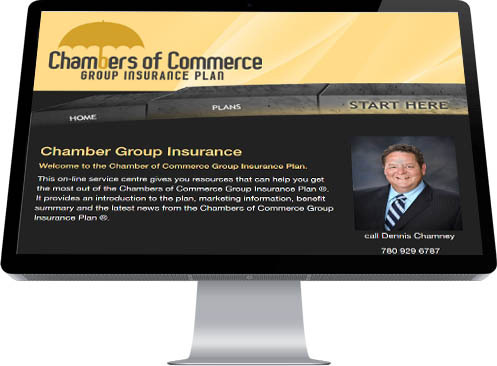 Dennis Chamney came to Industrial Netmedia looking to promote a special type of insurance product for members of Chambers of Commerce for which he is an agent. Insurance is a complex product to sell and the client wanted a site that explained exactly what advantages could be gained by using his agency to acquire such insurance. Chamney was interested in a direct, austere site with five tightly-focused pages to explain his products and guide prospective customers to engage in his calls-to-action.